October is here!!!! It’s the best month of the year in MY opinon. Time to break out the riding boots, leggings, and plaid flannel! It’s all about pumpkin patch’s, haunted houses, and candy corn! For those of you in Texas, you know you’re wearing your cold weather gear whilst sweating profusely as the temps have yet to turn. Any day now ya’ll… any day! These next couple of months will be bringing about some big potential changes in my personal life. So much so that most of life beyond a single day feels impossible. So this month’s freebie is all about reminding myself and everyone else that impossibility is only temporary ya’ll. It’s okay to take things one at a time until your back on your feet. So #BeFearless and remember that sometimes to get through the impossible, all you need to do is BREATHE! 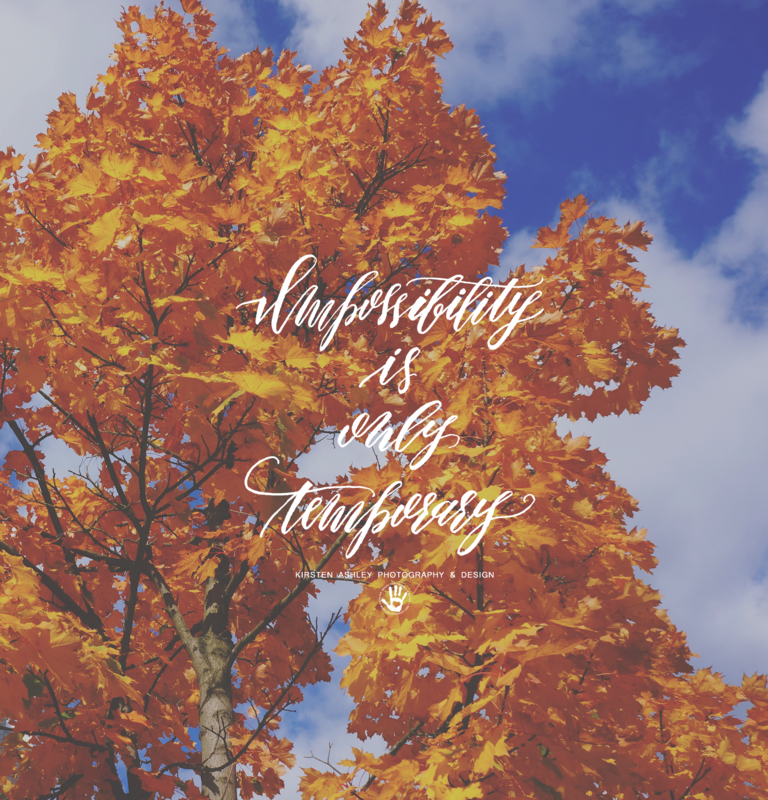 Be sure to download the freebie and rock this month’s fall foliage calligraphy wallpaper in style! Click the image above to get your free October 2015 lock screen wallpaper download! 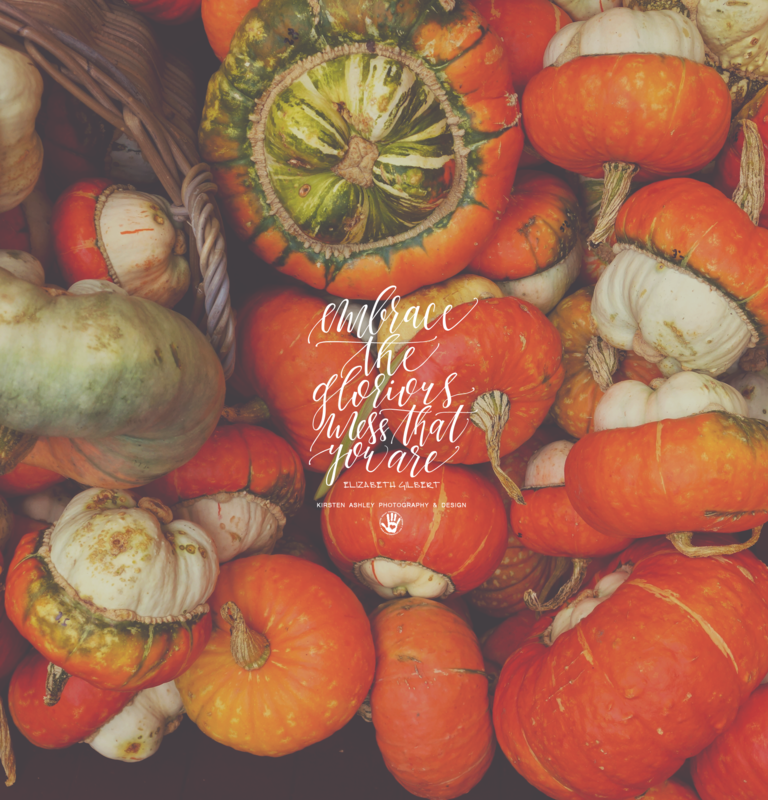 Or if you really enjoyed October 2014’s freebie you can download it HERE. I am super excited to be able to bring you something new each month and hand it to you FOR FREE! So go on, rock this year’s latest wallpaper in style just in time for autumn! If you have any questions, concerns, or need help, please leave a comment or email me at kirstenashleyphotography@gmail.com.